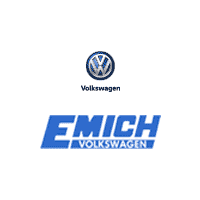 Emich VW | New and used Volkswagen Dealer in Denver, Colorado. Emich Volkswagen is the #1 VW Dealer in the city of Denver, the #1 VW Dealer in the State of Colorado*, and the #13 VW Dealer in the USA* (*2018 annual new VW sales as reported by VWoA)! Our highly-trained and knowledgeable dealer staff has helped keep the Emich family in the car business for over 90 years! We have received the coveted Volkswagen Wolfsburg Crest Club award every year since 2010! Our Denver VW dealership has the largest selection of Certified Pre-Owned and new Volkswagen cars and SUVs per Volkswagen inventory records (August 2018). Our Volkswagen sales, service, and parts departments are ready to serve you. Our selection of new and pre-owned Volkswagen cars and SUVs is the best in Colorado. Stop by today to test drive one of our new VW models. Our passenger cars include the Jetta and the Passat. We offer two wagons, the Golf SportWagen and the Golf Alltrack. Our compact cars include the Golf, Golf GTI, Golf R, and Beetle. The amazing Volkswagen SUV selection includes the Tiguan, Tiguan Limited, and Atlas. We are also home to one of the best deals in car sale deals in Colorado- the $0 down lease special! Our lease specials always are available for no money down. If you are looking for a new Volkswagen lease, then Emich VW is the place for you! Had my car tuned up and oil changed there, quick, fast sevice!!! Easy going, friendly, no hassling. I enjoyed working with Nermina buying our Toyota Tacoma. She was honest, forthright and easy to work with. She was diligent! TrueCar had some different info on the truck, but she confirmed the actual info about it. She also measured the actual height of the topper that was installed, so I knew it could fit into our garage. Just had an oil change and recall repair done at their new location. While I expected a good experience - They were actually amazing! From providing rides back home to a video inspection under my vehicle to let me know all is well. The staff couldn’t have been nicer and the new dealership feels professional and high tech. Excellent customer service. Love the video feature! Service was streamlined and efficient. Chris and Jered were a great team. Extra kudos to the first member of your staff that greeted us so kindly and enthiastically upon our arrival. LOVE your new facility!! An easy trek from Erie on and off I-25! Thanks for a GREAT experience! I only have great things to say about Emich VW! Doug McGuirk helped me over a two month period to get the exact car I wanted and was always super responsive, knowledgable, and incredibly laid back and friendly. He's a great person to work with and never once made me feel uncomfortable or stressed! The sales manager, Chris Scheidt, kept me up to date and made me feel at ease about when my car would arrive. In fact, every one I came into contact with was very pleasant and seemed happy to work at Emich, which says a lot about a business. I wanted a basic model, and I never felt pressured into buying a car I didn't want (next level up) or any extra packages/warranties. They're a busy dealership because they're the best, but don't let that deter you from buying a car there because you'll get the best customer service and best honest price without any hidden fees! I have had difficulty fitting into most vehicles becàuse of my height. Gloria was very helpful with helping me find the right vehicle for the right price. This experience could not have been more smooth. Everyone at Emich Volkswagen took great care of me. I got a straight deal and excellent speedy service. I'd like to note that Dieter Hauser, Doug Larson, and David Cox all provided stellar service. Thanks! Just paid off my other Jetta and decided to check out some cars. Started out and Emich and left with a car. I was originally working with Kate Colbert who kept me up to date on everything she was very nice and helpful. When I came in unfortunately it was her day off so I was put with Rhiannon. She was so friendly! No high pressure sales gimmics which is what I loved about Emich. Left with a car the next day. So happy with my VW Tiguan it feels good to drive a certified car and with the experience I left with I will be referring all my friends/family here to purchase their next car.Thanks Emich for the wonderful experience!Update: 2019 again Emich VW hooked us up! Bought our second car here. We pick it up in a few days. We still have our Tiguan but traded in our very old and tired 2004 R32. Got a great deal on a golf SportWagen. Rhiannon so glad she is still with Emich! We worked with her again and they are amazing. I will never buy another car from anywhere. Thanks Volkswagen for making us feel so comfortable and not doing high pressure sales. I’m so happy and can not wait to pick up our new Volkswagen!! Got my Haldex oil from them and it even came with the drain plugs. Fantastic! Gloria from Emich VW helped us with our purchase of our new VW Atlas. She was very helpful & went over in detail the features of the car that we weren't familiar with. Great service, really great service..
" Great service department, a pleasure to deal with." Couldn't be happier with my 2012 VW Jetta TDI Sportwagen. Purchased certified preowned back in November 2018. David, and everyone at Emich were simply amazing. They were patient and understanding while I had to wait to sell my previous vehicle privately. They were able to work with us on financing and get us a great, affordable payment. The car had a few minor things that needed repair but these were handled quickly and at no cost to me. 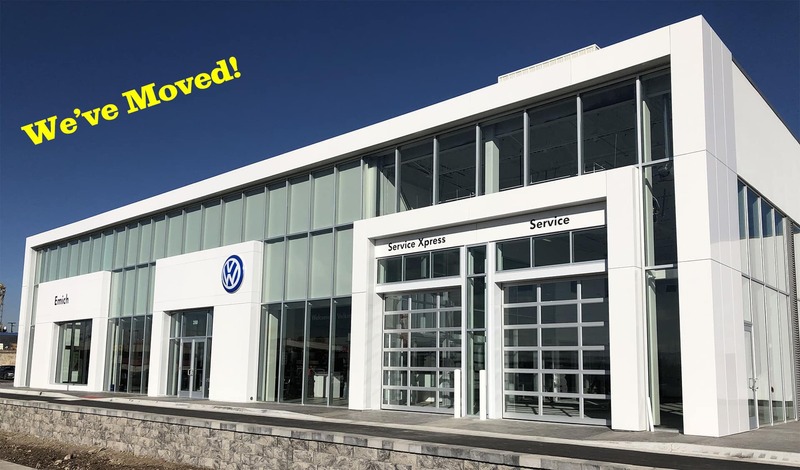 I would recommend EMICH VW to anyone in the market for a new or preowned car - plus they have a brand new dealership off Sante Fe & Alameda that is very nice and convienent. 5-star customer service.